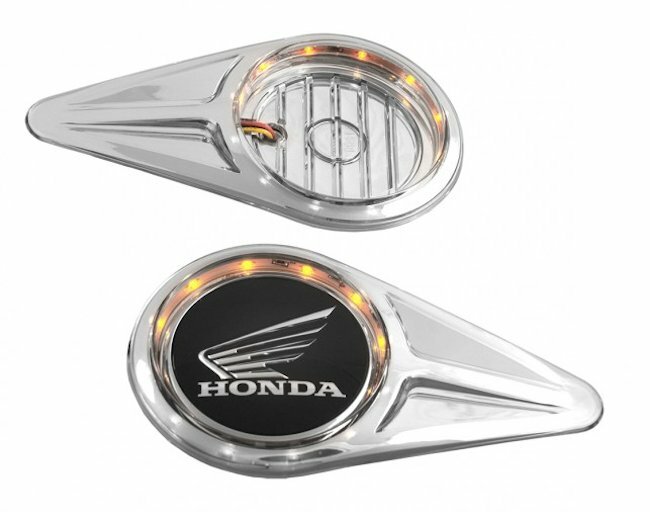 These beautifully chromed ABS pieces cover the area over the logo on the outside bike fairing. 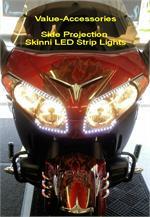 Each Accent has 12 amber LED lights which illuminate through the chrome when lit. They are made to be used with the OEM logo (not included) or any other accent or emblem to place in the center circle. Easy to install with self-adhesive tape. Drilling will be required for installation for the light. 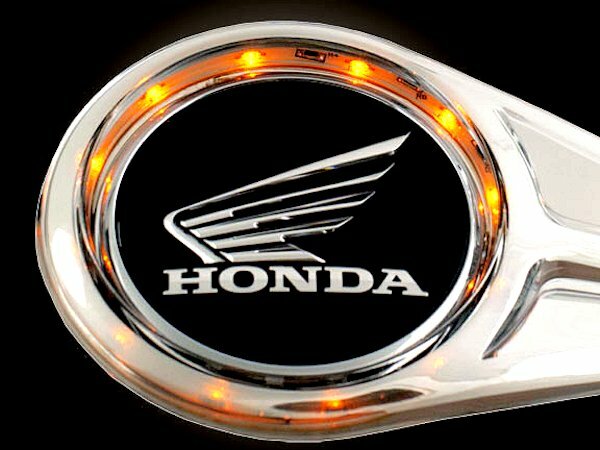 The light will work as a running and turnsignal. Pair. 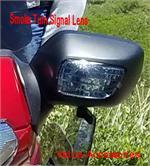 Installation Tips: Can be used for Running and Turn Signals. Below are just a few tips for easy installation. Option 1: On all the time with Ignition Key on. Right Side, Using Connectors TIE LED into the Hot and Ground supplying the switch for the Heated Grips. Connector should still be there even if you don’t have that option. If using the Turn Signal also you will have to tie into that too. Left Side, Using supplied Connectors TIE LED Resistor Box into the wires before the Three Pin Plug under the Left Pocket. Option 2: On all the time with Ignition Key on. Use Kuryakyn Adapter Plugs for Front Turn Signals and Running Lights. PLUG the Adapter Plugs into Bike then hook up to LED Resistor Box. Option 3: Switched On or Off. Use power from the Three Pin Plug under the Left Pocket, (Power only when Bike is turned on) or power from any other source running through a switch to the LED Resistor Box.